Gyani Harbhajan Singh Mistri. 2004. The Anād foundation has pioneered the revival of the extinct musical instruments that were either used in the courts of or some even designed by some of the Sikh gurus, Bhakti saints and Sufi masters. In 1987, Bhai Baldeep Singh was introduced to the taus by his grandaunt Bibi Amar Kaur, wife of the gurbani kirtan maestro, Bhai Avtar Singh Ragi, when he first visited their then residence in the campus of Gurudwara Mata Sundri. 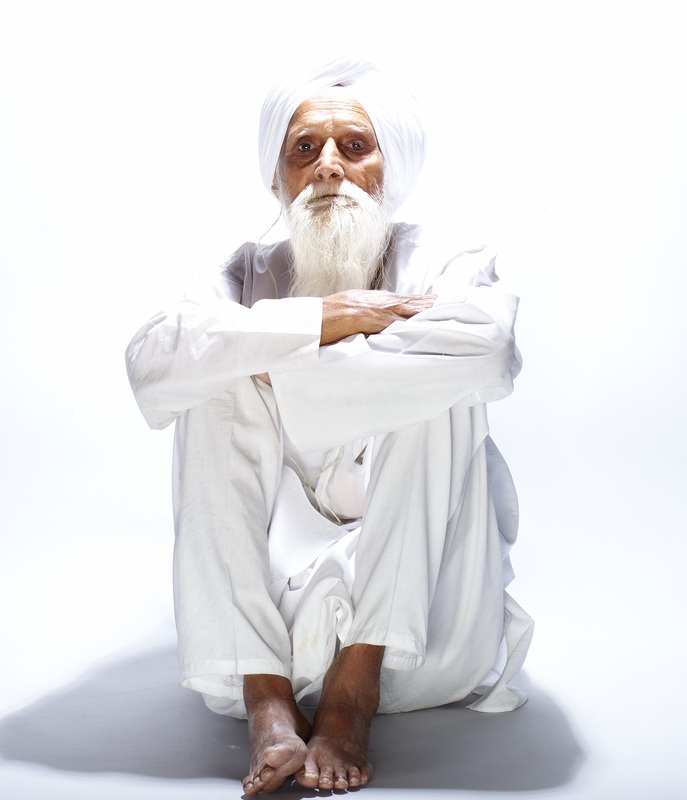 After his first conversations with Bhai Avtar Singh and Bhai Gurcharan Singh he became aware of the instruments that were used in the courts of the Sikh gurus such as the dhrupadi or hindustani rabab, khartal or kainsian, pakhawaj, saranda, jori, taus and dhadh-saranga as well as the ones that became part of the repertoire in the subsequent centuries such as dilruba and israj. He wondered what it might be to sing the repertoire from the guru-times that he studying from his granduncles with the instruments originally used during those times. Subsequently, he approached known instrument maker in North India – from Gurdial Singh (Jalandhar), Rikhi Ram’s family (Delhi), Bina Musicals (Delhi), Shimla Music House (Chandigarh), Bharat Music House (Delhi) and others. One thing they all had in common was that they had never learnt to make the instruments that Bhai Baldeep Singh was wanting to play and he refused to accept mere lookalikes as instruments. He continued his search for someone who had made these instruments and finally in 1992, the last remaining lute-maker Gyani Harbhajan Singh Mistri was discovered by Bhai Baldeep Singh after an extensive search that had began in 1987. Mistri had last made these once extinct instruments in 1949 and was the last living luthier among the Sikhs. By 1995, he had taught Bhai Baldeep Singh the art of making the instruments and who, aided by his aero-modelingly acquired skills, then hand-carved the instruments back to life. Bow-making is one tradition he could not find or recover. Indeed, bows are made but they do not have any particular logic. Most dilruba, israj, taus players of the days are playing them with poor lookalikes of bows designed for use with western instruments such as violin and/or cello. There are instances of authentic bows that are still in vogue such as a bow for instruments like ravan-hatta, kamaycha, sarangi and sindhi sarangi but beyond these there is no rule for a bow. This meant going back to the drawing board and initiating a painstaking, time-consuming and a very costly road towards the recovery of bows for the instruments which had become extinct but were now revived. Bhai Baldeep Singh relied on the memory of legends such as Bhai Avtar Singh, Bhai Gurcharan Singh, Bhai Arjan Singh Tarangar, Bhai Balbir Singh and others. He learnt about the curves, the lengths and most importantly, the logic with which bows were actually made. He had his first design made by Allan Herou in Paris in 2001 and then after hundreds of hours of playing and probing, he worked with Nicola Galliena of Milan and finally designed what is a perfect bow for the taus and another one for the dilruba. Wow, what a perfect combination of passion, and dedication, and will power! Thank you dear Harmeet Jio, for your kind words..!